Safety stats, yoga breathing, aisle seats - there are a handful of tricks to help you get over your fear of flying, but after looking at the causes of the phobia we've narrowed it down to the best ways to overcome your fear. The pilot says you'll be starting your descent. You chew your gum, close your eyes, and grip both hand-rests (stealing your neighbours'). You feel the aircraft dip down and then it starts to shake. Your stomach bounces to your throat. In an instant the plane is tilting sideways, you hear the pilot yell "brace position, emergency landing," and it all moves in slow motion. It's as if you've been hit by a train. Before everything goes black you feel the flames barreling in. It's all over. This is when you open your eyes. There is no crash, no flames, no pilot and not even a plane. You're just sitting at your departure gate imagining what will happen on the aircraft you're scheduled to take. For 40% of travellers these fears are real. While everyone experiences their fear differently - some with visions, others with in-flight panic attacks and most with anxiety - the fear of flying is something many people suffer from, but why? Why are so many people afraid of flying? Flying, statistically, is one of the safest ways to travel. There is only a 1 in 11,000,000 chance you will die in an airplane accident while there's a 1 in 5,000 chance you'll die in a car accident (according to the Discovery Channel). In the Unites States alone there are more than 30,000 deaths a year caused by auto accidents and only 475 deaths resulting from airline incidents. But for those with aviophobia (a fear of flying) these stats are not reassuring at all considering we drive daily and only fly a few times a year, if that. So why then are we terrified of flying but unafraid of deadlier (albeit more common) activities like driving, walking down stairs or Black Friday shopping? All those panic inducing images of exploding planes come from the media's drive for sensationalism. Because we only hear about large-scale plane crashes on the news and only see dramatized video in film, our perception of how many accidents there are (and their severity) is skewed. Eek! While aircraft incidents are rare, we tend to imagine all crashes as catastrophic events where every passenger dies. In reality this is not the case. 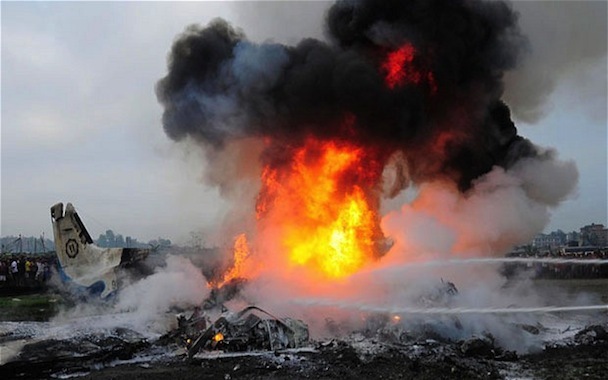 95.7% of people involved in plane crashes survive. Even in the most severe cases, like the traumatic crashes aviophobic people envision, 76% of passengers survive. The most severe cases of aviophobia develop from traumatic events. For instance, if you've had an unpleasant or near-death experience on an airplane or you've come to associate flying with a painful personal event, you'll likely be fearful of flying. For example: A loved one has just died, and you must fly to their funeral. This plane ride was likely tainted by grief and you could develop aviophobia as a reaction to that sadness. On the flip side of personal trauma is personal accomplishment. In some cases after you get married or have a child, a newfound fear of flying sets in. You become more afraid for your life 35,000 ft up because loved ones depend on you; your life feels more valuable and somehow more at risk. It's a bit of a cop-out to tell someone with a phobia to simply change their mindset or to go out and buy a meditation book. For someone drastically scared of flying, breathing techniques and happy thoughts simply won't cut it. Here are more reliable options. If your fear of flying developed from a media misconception, the best way to overcome that fear is with education. We fear the unknown but if you learn the sights and sounds of an airplane you can begin to rationalize what is actually happening on board. This is where fear of flying courses, offered by airlines like Qantas or British Airways, can come into play. These courses are instructed and organized by pilots, airline staff and psychologists who together guide you through plane safety. The instructors explain how planes fly, what causes turbulence and they run-through aircraft testing and maintenance procedures. Then the psychologists look at where your fear developed from. You also tour the air traffic control centre, the pilot's cabin and even take a short flight when you're ready. For $950 you can sign up for Qantas' "Fearless Flyers" program, one of the oldest and most extensive fear of flying courses in the world. After 30 years they have about 1,500 graduates and a 96% success rating. Or you can register for British Airways' "Flying with Confidence" program, the first of its kind in the UK, for £255. They offer a range of courses including one-on-one and children's classes. Over the last 25 years they have enrolled more than 45,000 students and have gathered an impressive 98.6% success rating. For many flyers the airplane itself triggers their anxiety, meaning no number of juicy classroom stats will be of service. Before 9/11 many of the fear of flying classes visited or took place on actual commercial airplanes. However, with increased post-911 security, it's more difficult to organize these types of practical field-trips. With this, psychologists have come up with a new form of exposure therapy. 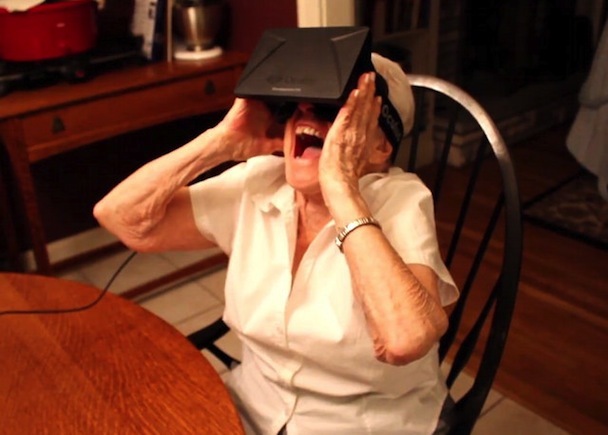 You can now confront your fears with virtual reality. The twist? Instead of reassuring you with airline safety info, they try to scare you. These virtual reality programs, hosted by anxiety and phobia treatment centres, force you to experience turbulence and harsh weather conditions in attempts to confront your fears. "Your body and brain get so tired of being scared that they calm down," explained Katie Heaney of Buzzfeed, who went through one of these studies. Researchers at the University of Haifa in New York (who conduct this type of virtual reality study) insist they have had positive results. Others are more skeptical, saying participants are acutely aware that they are not on a plane and that there is no real danger. Also, success ratings for fear of flying schools are calculated by post graduation surveys given to students (and show a drastic reduction in anxiety), but success ratings for virtual reality programs are calculated based on whether or not you ride an airplane after the study, and whether you had anxiety on the plane is not clearly measured. Of course there are other options to get over your fear of flying - you can try hypnosis, Xanax or just down a flask of vodka - but we've got another idea that might work. While 40% of people are afraid of flying, nearly everyone dislikes it. For the majority of travellers flying is a nuisance, but for those truly afraid, flying is nearly impossible to tolerate. Perhaps the answer is simple. 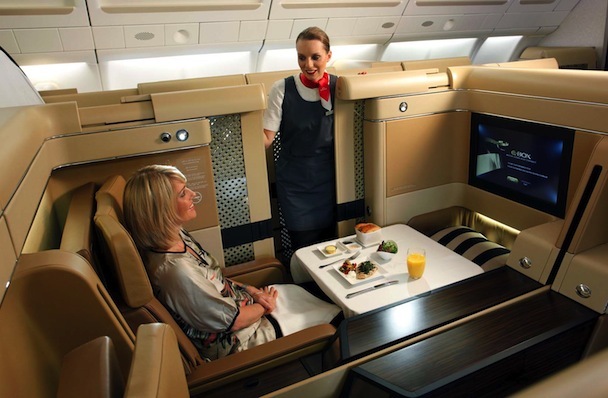 Maybe you just need to experience a taste of business or first class therapy? It may sound ridiculous but there's actually a bit of psychology behind our theory. If 40% of people are fearful of flying, chances are your flight will be filled with other people like you gripping the armrest and clenching their teeth. If one person panics the whole cabin can become uneasy. Because you can't fly next to the pilot whose calm demeanour and familiarity would put you at ease, the next best thing is to fly next to all the people who enjoy flying most - those in business and first class seats. It's a different atmosphere in premium. All the tension, stress and anxiety of coach is gone. Maybe a new environment is just what you need to rethink flying and move past your fears. Then again, if phobias were easily dispelled by complimentary glasses of champagne and fully retractable seats surely less people would be aviophobic. If you're willing to face your fears in first, our experts can find you a deal for close to economy prices - just something to think about next time you're about to choose the train over the plane.